The Tri-Valley Table Tennis Program believes in giving personal attention to each student and students from this class have won tournament titles. 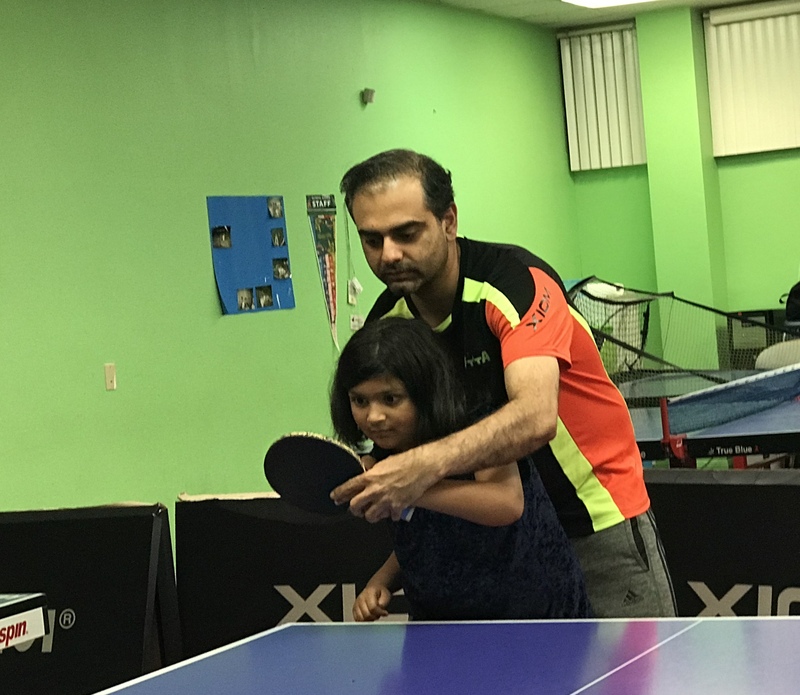 The tri-valley table-tennis winter camp and classes are from the program and coaches of Fremont Table Tennis Academy (FTTA), a USA Table Tennis National Center of Excellence which believes in giving each kid personal attention. The classes are open to ages 4 and up, both adults and kids, and have beginners with no prior experience to tournament-winning students. FTTA students often win first-place locally and average one medal won per participating student in the premier US tournaments, the US Open and US Nationals. Classes are led by Shashin Shodhan who has won 15 national titles and represented the US in the North American Olympic Trials where he was one of the top performers. His is now a USA Table Tennis National Certified Coach and International Table Tennis Federation Level 3 Certified Coach. Hi all, I live in West Dublin and I am looking to start playing again on a regular basis. I am at an intermediate level. Dublin High has courts near me but also willing to play elsewhere like Emerald Glen. Early mornings are best, but evenings (during summer) are fine. Respond if interested. Hi all, I am looking for Tennis Player Partner (Play on 1 to 1). Male/Female all are welcome. I can play in Dublin/Pleasanton/San Ramon on daily evening or weekend day time. I am beginner and looking for improving my fitness and overall play. 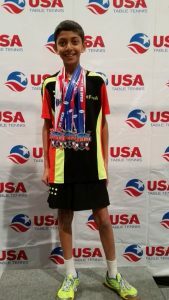 Fremont Table Tennis Academy students often average one medal won per participating student in local and national tournaments such as pictured here at the 2017 US Nationals medal stand in Las Vegas. Table-tennis classes take place in Dublin from the program of one of the top performing clubs in the nation, Fremont Table Tennis Academy. 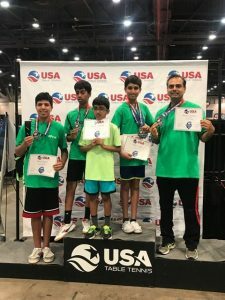 Fremont Table Tennis Academy’s 8 players just won 9 medals at the 2017 US Nationals in Las Vegas in July. Classes have been ongoing on Sunday evenings from 6-9 PM and are now starting on Wednesday evenings from 7-9 PM as well in Dublin at 6044 Dougherty Road. Table Tennis Table for sale(brand New) just used once. Almost Brand new Table tennis table (Joola brand) is available for sale in Dublin CA. $300. Let me know if anyone is interested. Tri-Valley table-tennis classes are starting on Wednesdays in addition to Sundays now. The time on Wednesdays is from 7-8 PM and the time on Sundays is 6-7 and 7-8 PM. The location is at the Genius Kids Dublin at 6044 Dougherty Road, Dublin 94568. 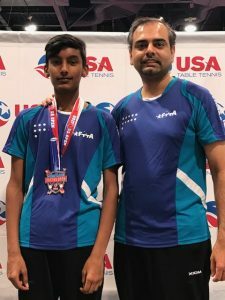 The classes are taught by Shashin Shodhan and his team of coaches from Fremont Table Tennis Academy which is one of the top performing clubs in the nation. Fremont Table Tennis Academy students often average one medal won for each participating student at the major US tournaments, the US Open and US Nationals. It has been awarded the designation of a USA Table Tennis National Center of Excellence. December 3, 2016 – 5K Run and Walk – Start Time 9:00am. 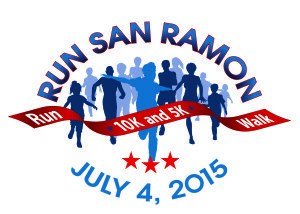 Run Begins and Ends at: San Ramon Community Center at Central Park (12501 Alcosta Blvd). Crunch Fitness will lead a pre-race warm up at 8:45am. 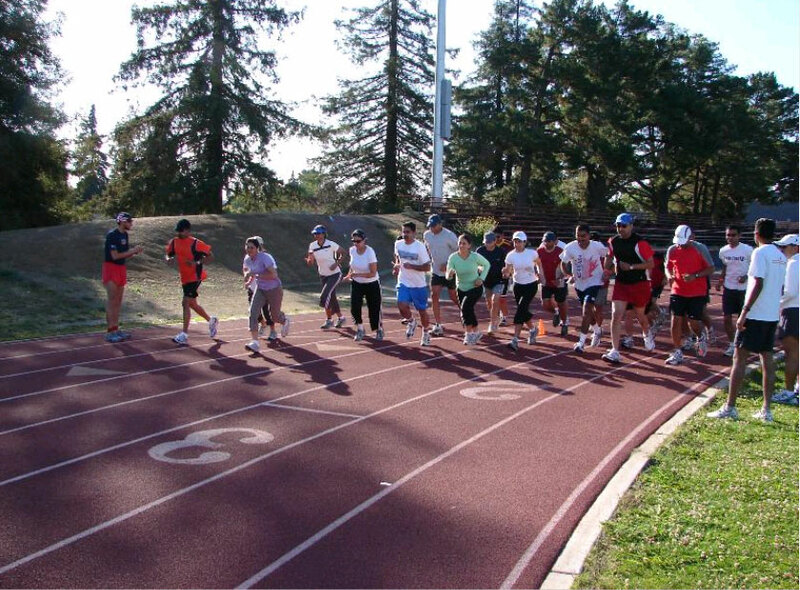 Start the holiday season off with a healthy fun run or walk through San Ramon. All registered staff will receive a holiday long sleeved shirt and a Bah Humbug! ornament. The Bah Humbug! is a chip timed race on a 3.1 mile course. The course is a fun, flat, family friendly, paved route. Registration details are available online at www.active.com search Bah Humbug! San Ramon or visit the City of San Ramon website at Bah Humbug! 5K Run and Walk . Spread Holiday Cheer: Runners are asked to bring a can of food to be donated to the Contra Costa County Food Bank to assist those in need during the holiday season. Canned food donations will be collected at the registration table. New! San Ramon Police Department will collecting new, unwrapped toys as a part of their “Stuff the Cruiser” toy drive for Toys for Tots. Costume Contest: Make sure to come dressed in costume and in the spirit of the run. Costume awards will be given for: Most Grinch-Like, Best Holiday Spirit, and Best Group Theme! Awards: Medals are given to the first three finishers in each age division. 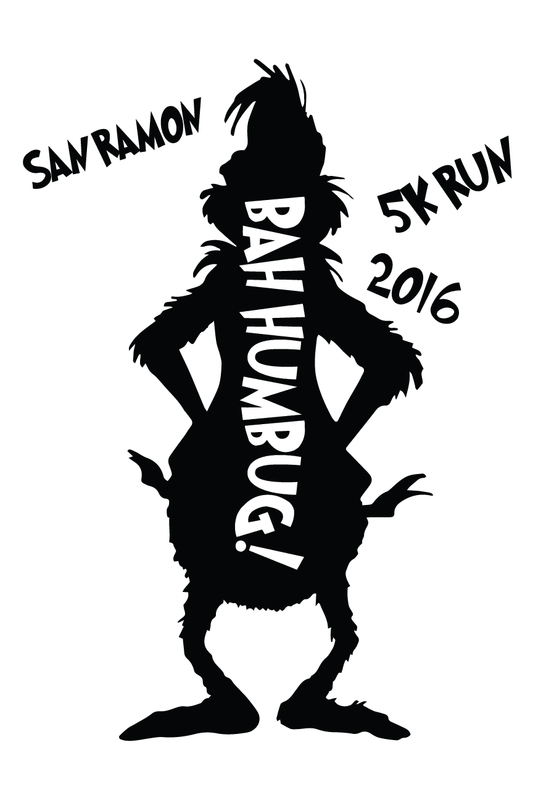 The Mayor’s Crown will award the lowest combined times of the 2016 Bah Humbug! and 2017 Run San Ramon pre-registered 5K runner. 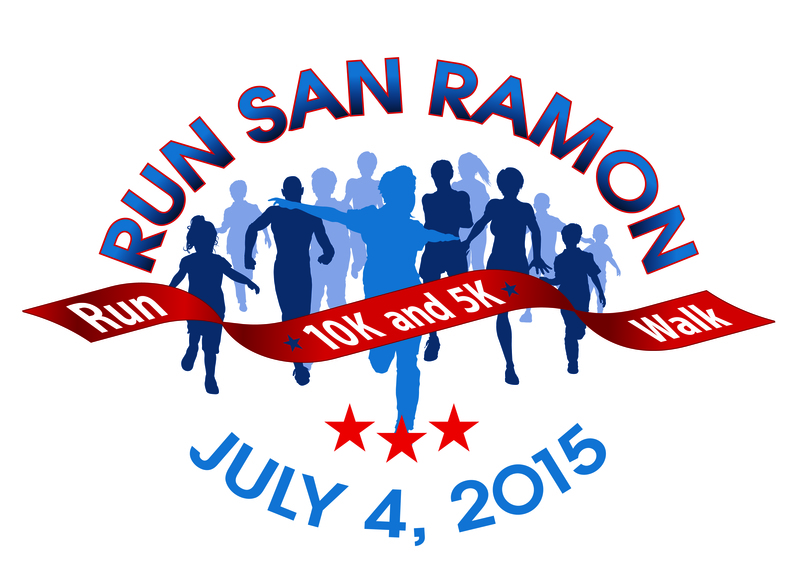 The Mayor’s Crown winner will be recognized at the 2017 Run San Ramon 4th of July event. Packet Pick Up: All pre-registered participants may receive their shirt prior to the event start at a packet pick up hosted by the New San Ramon Sports Basement located at 1041 Market Place San Ramon, CA 94583, on Thursday, December 1st from 11:00 a.m. to 7:30 p.m. Ornaments are given out at the completion of the run. 20% off at Sports Basement on packet pickup day, December 1st! Just show your bib at the register! Some exclusions apply. Moms- Anyone interested to run Half Marathon in Dec – Walnut creek and run on weekend in Pleasanton? Hi – my nine year old son would like to learn Tennis. Looking for a student Tennis player who can teach him the basics and help him practice. Willing to adjust to schedule. Live near Emerald Glen park in Dublin. Please contact [email protected]. Thank you. Hello Everyone, My name is Mehek ad I moved to Dublin recently with my husband. I am looking to make some friends in this area. 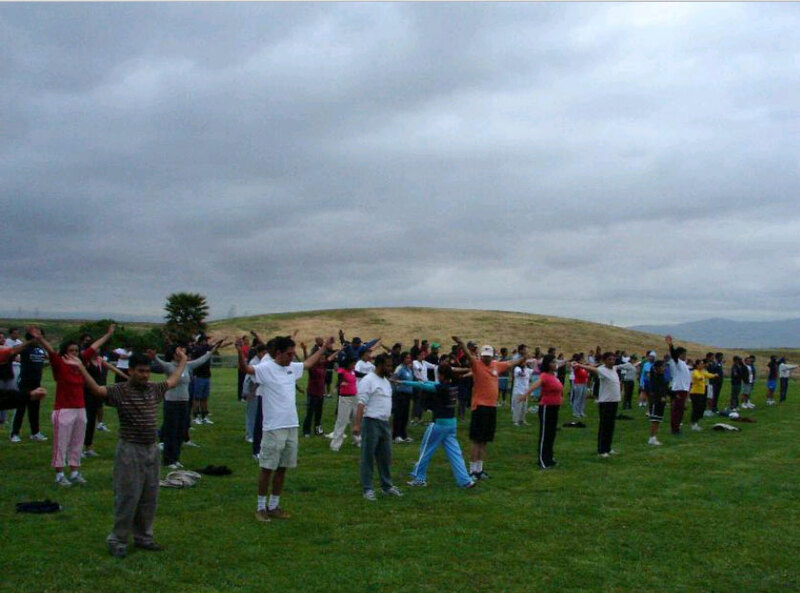 Please contact me at 9254485227 is anyone wants to join me for a morning walk or some exercise/yoga class. I live on iron horse parkway. Looking forward to making many friends! Hi all, I am looking for Tennis Player Partner (Play on 1 to 1). Male/Female all are welcome. I can play in Dublin/Pleasanton/San Ramon on daily evening or weekend basis. I’m posting this for my husband, Saurabh. He is an avid Squash player and likes to play a couple of times a week, but sometimes work priorities/commute-time come in the way. We are not members of Club Sport San Ramon. We did the math and figured that a full membership would be wasteful, given his schedule. I got extra tickets for Manchester United and FC Barcelona Soccer international Soccer Cup tickets. Premium match between best Europe clubs in soccer world. Hi, Cricket training is going on in San Ramon. Saturday’s and Sunday’s from 8.00am to 9.30pm. If interested please mail to syammadhsa…@g…com for further details. Planning to start volleyball in Livermore, Interested people can email me and we can schedule evening games on grass in park. Volleyball is fun game with good cardio workout. Expect decent and dedicate players to participate on regular basis. Table-tennis classes are available in Windemere in San Ramon run by former US international Shashin Shodhan. 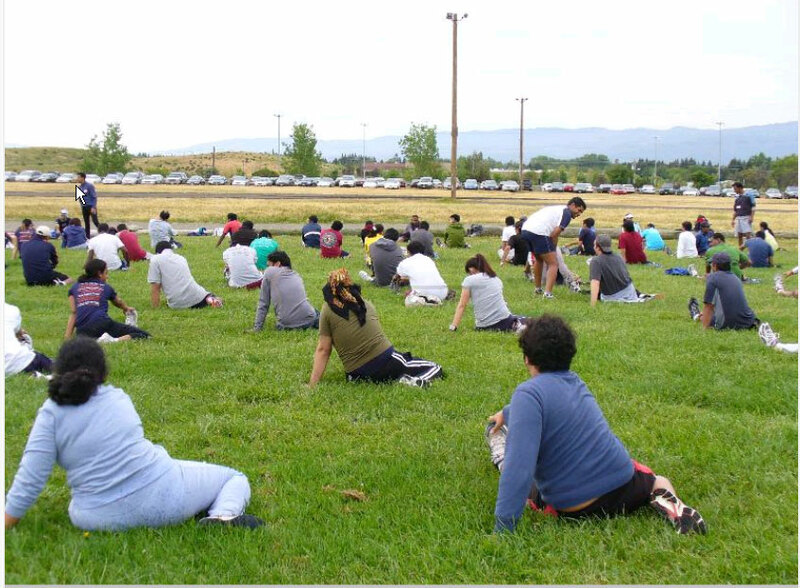 He comes to San Ramon every week and teaches classes in San Ramon for tri-valley desis. Shashin Shodhan has represented the US in many international competitions including the 2000 North American Olympic Trials where he came close to making the 2000 US Olympic Team. He runs a full-time table-tennis in academy in Fremont where his students are among the top performing students in the nation. He also comes to San Ramon weekly and is available for private and group lessons. His contact information is 510-366-5234 and shashi…@f…com. Summer Fun Tennis Camp for Kids M-F 9am to 12 noon or to 3pm June 15 to June 19 and June 22 to June 26, 2015 at Stoneridge tennis court in Pleasanton on Stoneridge Mall Rd. Tennis Camps fill up fast – so SIGN Up TODAY! to get one of the few spots. Spring Break Fun Tennis Camp for Kids M-F 9am to 12 noon March 30 to April 3 and April 6 to April 10, 2015 at Stoneridge tennis court in Pleasanton on Stoneridge Mall Rd. It’s a thought that we are privileged to be living in this region of the country with all the presence of desi community, public amenities, the landscape, and all the aspirations that we carry around even with a nostalgic feeling of social dynamism back in our country. At this moment this is for MEN only please. You can propagate the idea, if you wish, and please record your email in your response so that we can create a common stage. What is Kajukenbo? Kajukenbo is a highly effective fusion of four different martial arts: Korean Karate, Ju-jitsu, Kenpo, and Kung Fu. Practical applications of Kajukenbo show that this karate is successful in blocking and taking down attackers. When it comes to self-defense, strong, linear punches and strikes mixed with the ingenuity of kung fu is a lethal mix. Kajukenbo spurred my passion for the martial art. I want to keep doing Kajukenbo forever, because it’s not just defense against another person; its defense against the factors in life that will bring you down. After every class, I felt less stressed and more confident in other aspects of my life as well. I found my grades rising and my social life becoming happier. Kajukenbo allowed me to take charge of my life and pursue a martial art with passion. As a girl, I learnt to defend myself and use size and body weight to my advantage. Now, I realize that Kajukenbo is the art that drives me and has given me the confidence and assurance I need in other areas of life. Cost & Contact Details: Classes are one hour each on Sunday mornings from 10-11 am in my garage in the Gale Ranch area of San Ramon. Cost is $7 per class. For more information on class details, location, Kajukenbo, or my experiences with it, email me at [email protected] or call me at (510) 792 5622. Are you interested in biking with us to form a South Asian Heart Center -East Bay group on a regular basis? We would be biking on only paved trails in the Bay Area. The start time will be at 9:00 am on Sunday mornings (weather permitting). If you are interested in joining, please email us back at [email protected] so that we can keep you informed of the locations. Please inform anyone you know who might be interested! 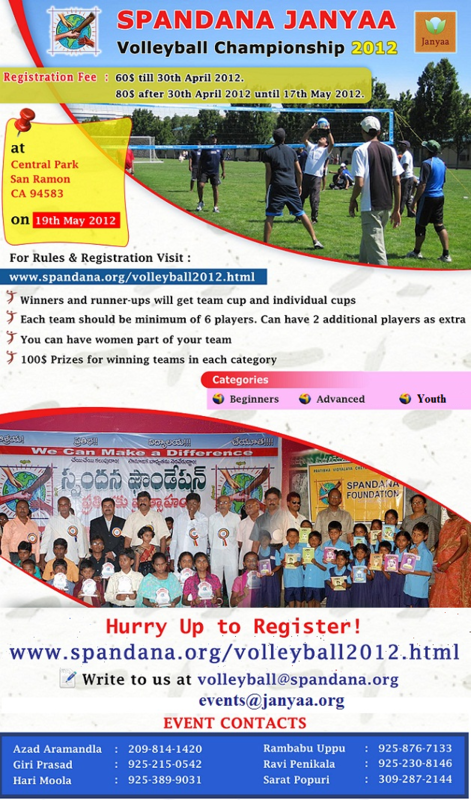 Registration Fee: $60 until 30th April 2012; $80 after that. Register to support the cause. Winners and Runners up will get team cups and individual cups. Each team should have a minimum of six players, and two extra. Teams can be mixed men and women. 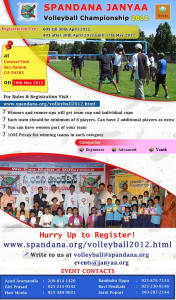 Awards of 100 USD for winning teams each category: Beginners, Advanced, Youth. 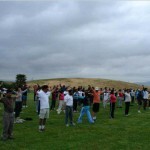 The Team Asha Marathon program is kicking off in San Ramon on April 16th, 2011 (besides in San Francisco and Sunnywale). The program provides training and guidance to run a marathon, as well as helps the cause of child education in India. You can train with Team Asha for a Half or Full Marathon by joining the Team Asha Marathon Training program (A marathon is 26.2 miles; a half marathon is 13.1 miles). There is an initial, nonrefundable registration fee of $75 or $100 (depending on when you register.) There are other costs for races, gears, etc, as well as a goal to raise money (about $2000) for the noble cause. There isn’t a minimum fitness level to join the training program. Train for about 6 months for full and about 3 months for half. 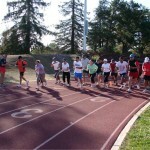 Join the entire group for a weekly long run (Saturdays) and track session (most Tuesdays. ), and there are socials that you get to participate in. A comprehensive beginner friendly program. 3 month training for a half marathon and 6 months for a full marathon. 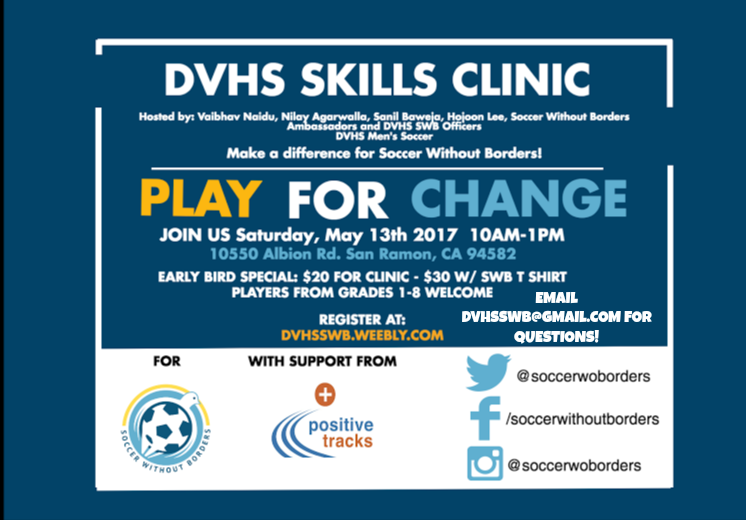 Train with experienced coaches and assistant coaches. Speed and strength workouts every week. Guidance on running form, apparel and nutrition. Guidance from mentors during weekday runs. Get fit! Learn to live a healthy and active life style. Make new friends, attend team parties & dinners! Team Asha is a sports program organized by Asha for Education (Asha) that gives the chance to individuals of all ages to discover the magical benefits of physical activities like running and biking including but not limited to an active and healthy lifestyle. All that while helping raise funds for projects supported by Asha in India. Team Asha aims to provide every runner, every biker with the means to change their own lives and make a positive difference in the life of thousands of underprivileged children in India. The program has been in existence since 2000 and helped hundreds of runners, 70% of them first timers, to reach new endurance levels and take on bigger challenges. Our expert coaches and involved mentors add a personal touch to the training and help you with not just running a marathon but leading a healthy lifestyle as well. Learn more about the program here. Last year alone, more than 200 participants have helped raise over $370,000 towards 38 projects supported by Asha for Education, Silicon Valley Chapter.